The world changes and so is our bucket list. There are many things that we want to do before we die but some people’s interests have significantly changed especially the millennials. Millennials are those who were born from year 1980-2000. They are the group of people who grew up in an electronics-filled and socially exposed world. They love to party; to try unique experiences; and are into adventures. I have listed things that every millennial should have on their bucket list. The warm waters in the Blue Lagoon Geothermal Spa are rich in minerals like silica and sulphur while Aurora or the Northern Lights are glowing and flickering display of colours in the sky in northern hemisphere. Both are gonna be an out of this world experience. Probably the best place to learn how to make pizza is in Italy. It will a unique experience to make an actual pizza from the country who started it all. I was lucky enough to experience this life changing trip. Through Tao Expedition, you will be on a boat for 5 days with only the basic necessities. There will be NO internet or electricity. This whole experience will make you appreciate life more. Read my whole experience here. K-pop or Korean Pop has become so popular that millennials watch K-pop videos everyday. One K-pop MV can get millions of views per day. The experience of learning a K-pop dance will be LIT bruh! There are many dance schools that offer these dance classes. Check out Real Kpop Dance academy. This amazing hotel is set in the forest of the Lule River Valley. The UFO can accommodate 5 people. There’s a restaurant, bar, sauna and relaxation area, TV, and internet. La Tomatina is a festival which participants throw tomatoes and get involved in tomato fights for fun. The festival lasts for an hour. 100,000 tons of tomatoes being thrown each year. This is a must do when you visit Spain. Skydiving in Dubai is definitely a must try. The view of the Palm Jumeirah from above is breathtaking. It costs a fortune but it’s something you will remember for a lifetime. WWOOF is a worldwide movement linking volunteers with organic farmers and growers to promote cultural and educational experiences based on trust and non-monetary exchange, thereby helping to build a sustainable, global community. If you become a volunteer, the host in a chosen country will give you free accommodation and food. There are plenty of countries to choose from. You can see them all here. A vineyard in Italy and an orange farm in South Korea sound a lot of fun. “The Guardian Stated: Route 66 was the first highway of its kind. In 1926, the 2,448-mile road was designed to be the first trans-continental, year-round highway. It connected urban and rural America from Chicago to Los Angeles, crossing eight states and three time zones.” It sounds dangerously amazing! “Tomorrowland is without doubt the biggest and most important dance music festival on the planet. House, EDM, techno, drum & bass, hardstyle and every other corner of electronic music is represented by worldwide superstars, all staged amongst the highest levels of production known to humankind.” I actually already bought a ticket for this event on July. I can’t wait!!! Coachella is an annual music and arts festival held at the Empire Polo Club in Indio, California, in the Colorado Desert. Apparently, it is the most profitable music festival in the US today. 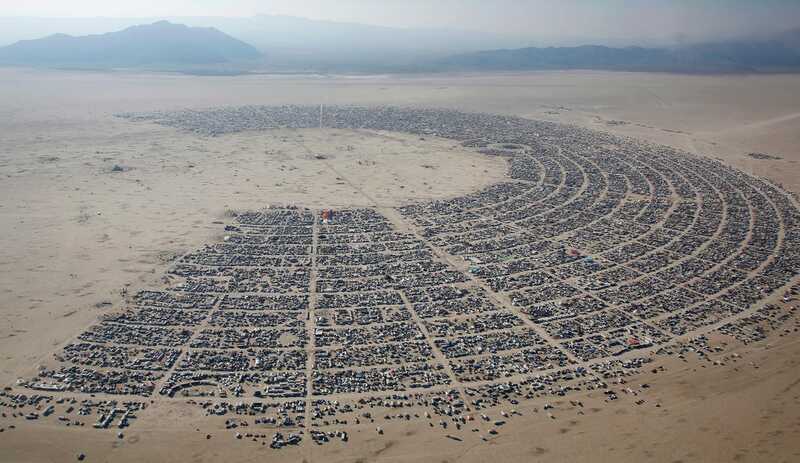 Burning Man is not a festival. It’s a catalyst for creative culture in the world. Being a ‘Burner’ is more than going to an event. It’s a way of being in the world. Yes please, add all of this to my bucket list!